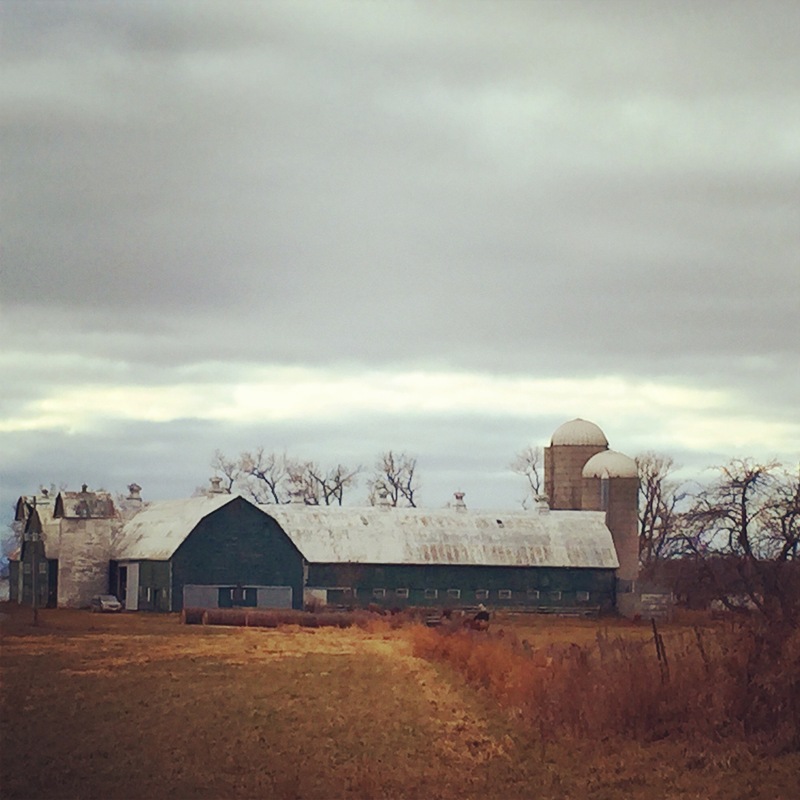 Our car tires crept slowly over the country roads aptly named 4th Line Road, 5th Line Road, 6th Line Road and so on—roads surrounding farm land that were laid out in a numbered grid like a giant spreadsheet. This was Wolfe Island in Ontario Canada and we were looking for something white. 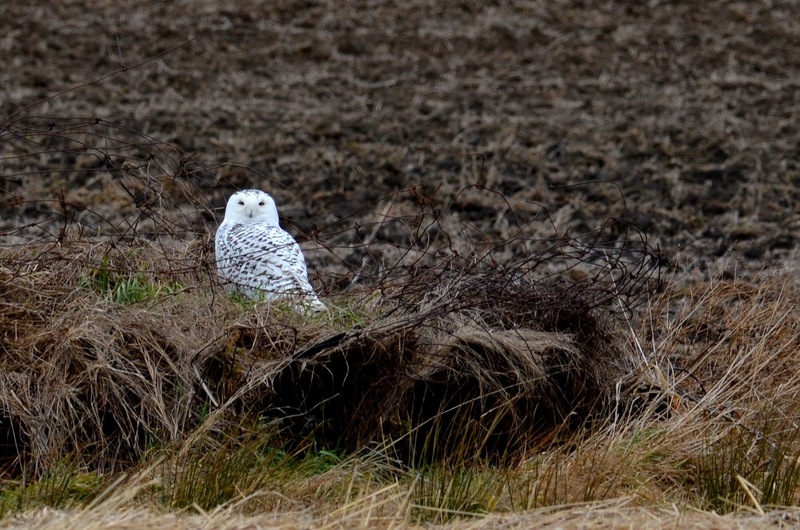 Reports online boasted of large numbers of snowy owls during the Christmas Bird Count (CBC) from the previous week and I was determined to see my first snowy owl. The previous year there was an irruption of snowy owls in several northern states in the US, but I missed them because I don’t live in an area where I could see a snowy owl. I mourned as I saw photos of the ghostly birds posted by birders and non birders all over the Internet, Twitter and Facebook, and thought my chance to see one was over until another irruption occurred. So news of 20 or so owls on the island during the recent CBC lit a fire of hope in me, and being in Ontario for the holidays to visit family seemed serendipitous. It’s quiet. The kind of quiet where the hum of the car heater seems amplified and the car tires moving slowly over the road sounds like we’re driving over bubble wrap. My breathing even seems loud. We drive up one road and down another, occasionally pulling aside for a local resident in his truck to pass us, exchanging friendly waves. 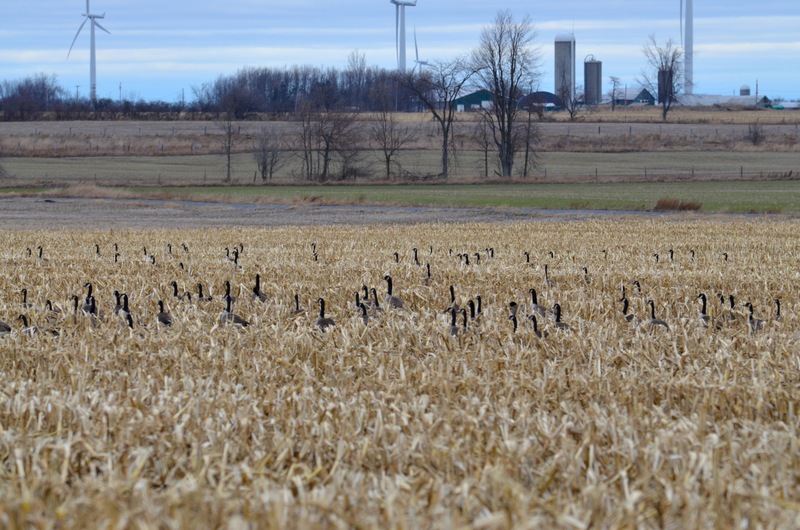 We pass a corn field of about 80 Canada Geese, necks high up like periscopes, gleaning the field as they feast on the corn left after the harvest. But we’re not here to see the geese. After a few false alarms (“Hey, look! Oh wait. It’s just a plastic grocery bag.” and “No, seriously. Look! Second thought, nope. It’s only a white cat.”) we decided to try another area of the island, around 9th Line Road and just as we turned the corner we saw it: A white something on a bale of hay in a chocolate brown field recently plowed in preparation for the harsh Canadian winter. Steve stopped the car, we pulled up our binoculars and, yes! It was a female with wide dark barring on the wings and on top of her head. The milky white of the owl was startling and her yellow eyes locked on us with appropriate caution and concern. I had to remind myself to breathe. It’s like first loves, first kisses, a first visit to Paris, the first time experiencing peanut butter with chocolate. We turned onto 7th Line Road and saw a snowy owl perched on a fence post. This was number two. Binoculars up on eyes and this time we observed a male with more narrow dark barring. The world had ripped open for a moment while we peered in to watch him focus intently on the ground, looking for his next meal. A little way further on the fence line we spotted another, surprised to see two owls hunting so close to each other. It is by shear luck to see a target bird twice in a day. Now we had three. On the next road over on our giant spreadsheet we nearly drove by it–there was something odd on top of a dilapidated white camper trailer. It was another snowy owl, camouflaging himself atop the trailer and allowing for a better vantage point for hunting scurrying voles or mice in the field. By noon I was feeling smug about spotting four snowy owls. And then five. And then six. Then seven. Good lord, we’re at eight snowy owls now, I thought after another swooped over a field to land on a fence post.We were ticking off our counts and running out of fingers as we approached ten. Every snowy owl renewed the initial glee of the morning’s first encounter, compounding the thrill each time as if each one was the first. The numbers we saw in one day were staggering and extraordinary for any birder. Down 8th Line Road to the Ferry Dock we found two more, rounding our finds to 12 snowy owls, including a stark, pure white male so far in the distance my binoculars could barely make out the eyes. He was perched on a fence post as if a wise spirit, and then the mystical bird turned and flew low across the field away from us like a whisper, wings spanned, gently flapping slowly at first then moving to a glide as he disappeared into the horizon. As the ferry took us across the St. Lawrence River back to Ontario’s mainland I no longer mourned the lost opportunity of the snowy owl. I felt the quiet euphoria of witnessing 12 white spirits I had never met before. Hooray for you! I’m still waiting for an opportunity like this. I want to see so many Snowy Owls I get bored with them. Might have to go to Canada, like you did. Hi Sue! My husband tells me Wolf Island is nicknamed “Snowy Owl Capital of the World.” So get there! You’ll have a good chance!